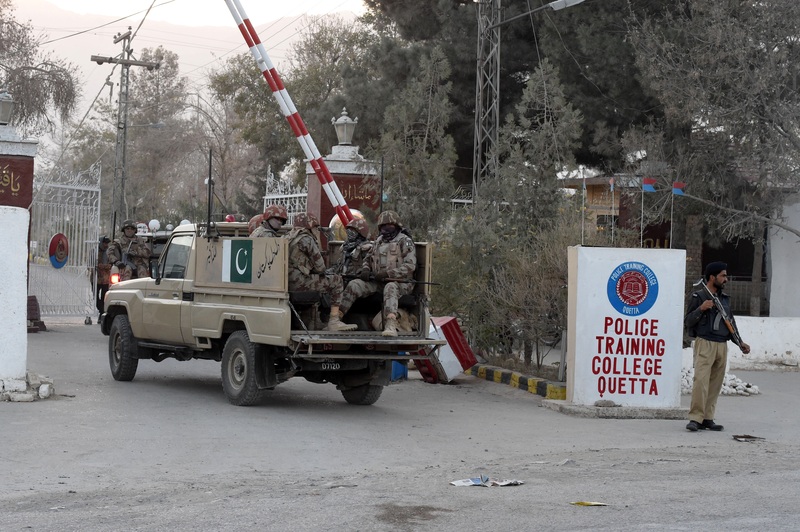 QUETTA -- Pakistani officials are searching for two potential suspects who might have fled after carrying out a deadly terrorist attack on a church on Quetta's Zarghoon Road. 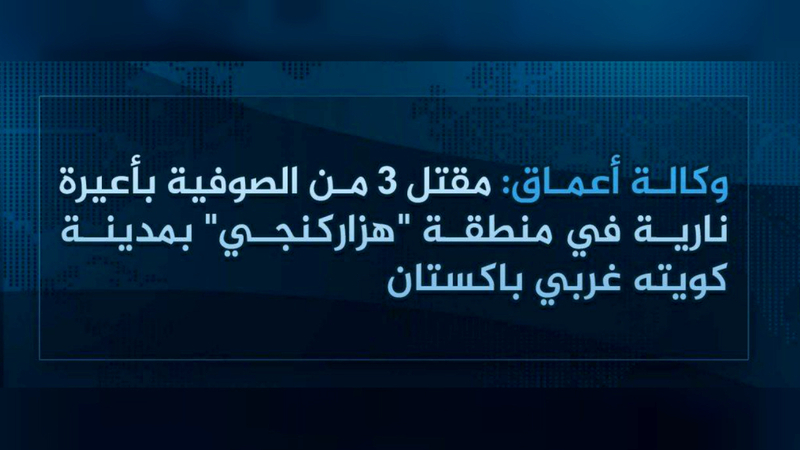 The "Islamic State of Iraq and Syria" (ISIS) claimed responsibility for the Sunday (December 17) attack on Bethel Methodist Memorial Church. Nine people were killed and 44 others wounded, Dr. Waseem Ahmed, spokesperson for the Civil Hospital in Quetta, told Pakistan Forward. The dead reportedly included two women. "More than 400 worshipers were attending services ... when two suicide bombers stormed the church," Balochistan Home Minister Mir Sarfraz Bugti told Pakistan Forward. Security forces killed the first attacker before he reached the church's main gate. 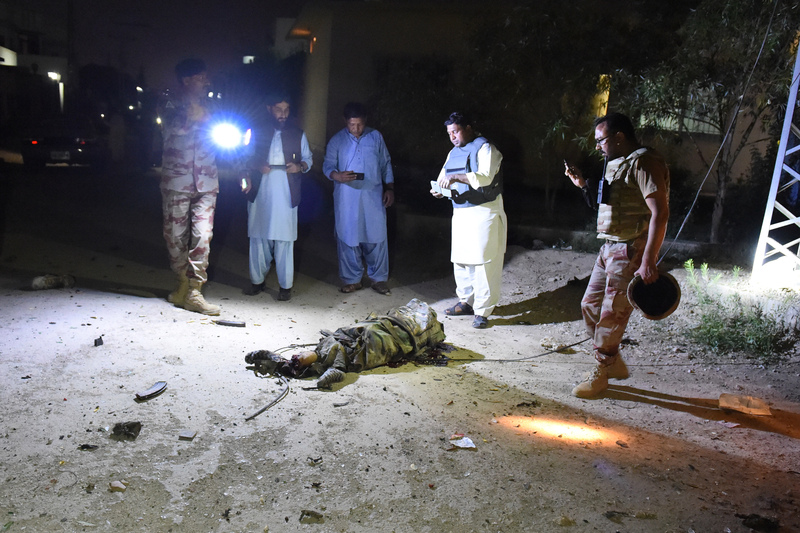 "The second suicide bomber, who was injured in an exchange of fire, detonated himself at the [gate] of the church," Bugti said. Hours after the attack, reports surfaced that four attackers might have been involved, with two having escaped. Quetta Deputy Inspector General of Police Abdul Razzaq Cheema said investigators were analysing CCTV footage to check the claim and had launched a search for any further suspects, AFP reported. "We are utilising all available resources to arrest the fleeing suspects," Balochistan Inspector General of Police Moazzam Jah Ansari said at the scene. Radical extremists will never succeed in their anti-peace agenda, vowed Balochistan Chief Minister Nawab Sanaullah Zehri. "We are in a state of war, and the militants are seeking soft targets for their nefarious designs," he said in a press statement. The worshipers included Liaqat Masih, 25. "Bullets were hitting worshipers inside the closed hall of the church," he told Pakistan Forward. The injured, second suicide attacker tried in vain "to blow himself up in the middle of worshipers", he added, crediting troops with thwarting that intention. "We lost several of our fellow worshipers in this cowardly attack," Anosha Barkat, another member of the congregation in her mid-30s, told Pakistan Forward. "During the exchange of gunfire, when some security personnel were engaging the militants, others rescued us," she said. ISIS often makes spurious claims of responsibility or exaggerates casualties after attacks it does carry out to overstate the group's importance. An explosive laden vehicle carrying five would-be suicide bombers tried to enter the FC headquarters, but soldiers stopped them dead, ISPR said.